They came in their thousands. We fought them as one. It started during a winter storm on the North Eastern Seaboard which brought with it a strange green rain. Where it fell, everything withered, died, and was consumed. 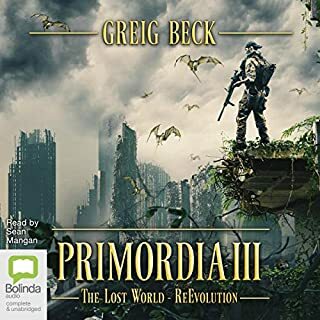 The residents of remote outposts in Maritime Canada escaped the worst of the early damage, but that was a blessing in disguise, for they were left to watch as first North America, then the world, was subsumed in the creeping green carpet of terror. And that was just the beginning. 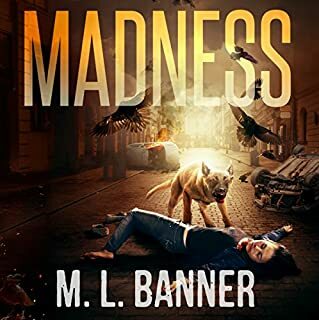 A terror from the past has returned, bringing with it death and destruction that threatens to overrun the town. The old stories tell of a postwar experiment gone wrong, one that opened the way for the fog - or whatever was behind it - to begin its reign of terror. A small team of workmen are the last hope to keep their town alive through the long, storm-filled night. But the many horrors that await them are beyond anyone’s worst nightmares. When NZDF Sergeant Taine McKenna and his squad are tasked with escorting a bunch of civilian contractors into Te Urewera National Park, it seems a strange job for the army. Militant Tuhoe separatists are active in the area, and with its cloying mist and steep ravines, the forest is a treacherous place in winter. The human race is faulted but resilient. Tasked with finding a US informant who has gone missing in the village of Hai Trang, Sergeant Reese and Corporal Hanson lead their squad off into the Vietnamese jungle, but it isn't long before they get the sense that there's something different about this mission. They find Viet Cong corpses along the path, strangely mummified or desiccated, and the village of Hai Trang itself turns out to be a ghost town. 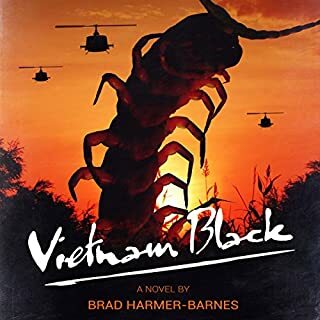 There, they find just one survivor - a young girl named Lai Anh - who tells them that everyone in the village has been destroyed by the "Vietnam Black". 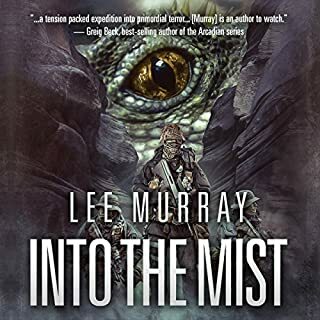 Paleontologist Grant Coleman and activist Janaina Silva are recruited by Thana Katsoros for a top secret expedition, one in search of a live Apatosaurus on a plateau deep in the Amazonian rain forest. But their plane crashes short of their destination, and the entire group faces a terrifying fight for survival. This isolated area hosts unknown animals more fearsome than they’d expected, including giant ants and flesh-eating pterosaurs. Even worse, Katsoros’ agenda has more to it than meets the eye, and Grant soon fears that it doesn’t include all of them getting back alive. 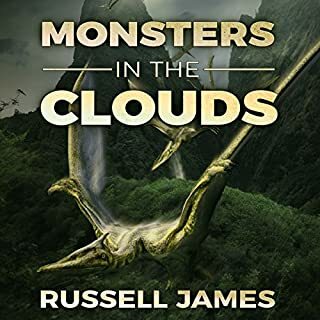 Will any expedition members survive to be rescued, or will they be devoured by the creatures indigenous peoples call the monsters in the clouds? A brilliant creature-feature thriller - Cool! Fact: There's a real-life parasite that rewires mammal brains for extreme aggressive behavior. Over half of all the world's mammals are already infected, but aren't symptomatic because the parasite remains dormant in most hosts. Like a ticking bomb, this puppet master is patiently waiting for the right time to set off its hosts against the world. That time is now! There will be no peace or tranquility on Ted and TJ's transatlantic cruise as something is very wrong: animals have started to attack for no apparent reason. It all begins with a dead whale on a Boston shoreline - not in itself an unusual occurrence. But the things that claw their way out of the blubber are very unusual indeed. 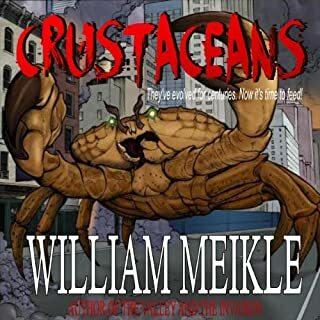 A cast of giant crabs, evolved over centuries, descends on a small coastal town and, having feasted, make their way to the city using the sewer system. 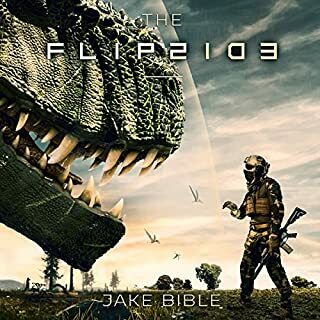 Soon they are swarming around Manhattan, hunted and harried by a SWAT team tasked with ridding the city of the menace...before the menace gets big enough to rid itself of the city. 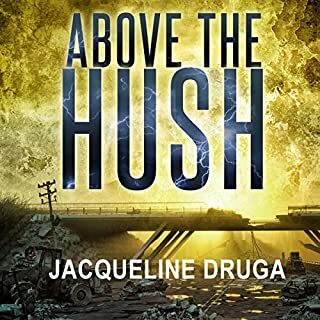 Facing their fears and the growing madness, a group of survivors descend into the collapsed area in an attempt to save what is left of their town. Sacrifices will be required, but will they be enough? 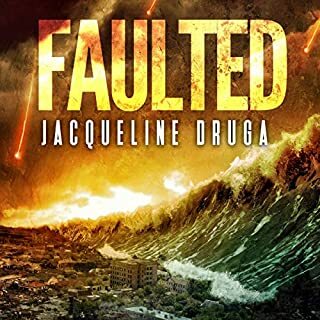 I have to admit I totally enjoyed this book and make me think of all of the sink holes that have been occurring but this book takes it to another level of fear. The main characters are Sheriff Bill Wozniak, Janet Dickson (town doctor), Charlie Watson (town drunk and one of my favorites), Fred Grant and Ellen Simmons (a complainer). Just prior to the holes open up every one hears a hum, has nosebleeds, headaches then see different apparitions. Recommend if you enjoy old time horror with good narration. 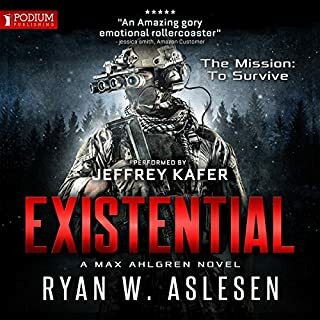 I was given this free review copy audiobook at my request and have voluntarily left this review. Thank You! Hilarious down home characters in a bad and horrifying situation. The horror aspect of the book was decent and reminded me of a John Saul type of story. BUT, the characters were absolutely great! The constant yet appropriate use of double negatives, good ole southern idioms, neighborly sarcasm, and of course a shot or two of whiskey made this story enjoyable. 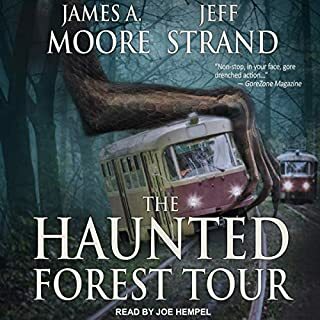 The narrator did a great job with the voices and a constant laugh out loud moment is when one of the characters, who is terrified of bears, pronounces the word bars. Loved it. 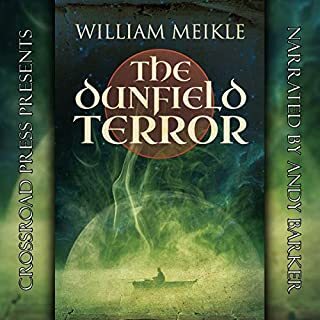 Had to get another of Meikle's stories that's narrated by one of my other favorite narrators. I'm sure Meikle's other books mix horror with a tad bit of genuine comedy. A strange hum and earth shakes cause weird holes to appear all over town. But that's not the only strange thing to happen, most of the town folks end up with a headache and nosebleed when the hum starts. People are rightly freaking out and a group of survivours set out to leave the town, but when they reach the outskirts they are blocked by a road block manned by army personnel. They are told to return to the town or face being shot. They will have to either figure a way out or find the cause of the noise and sink holes. This was a quick and easy read. 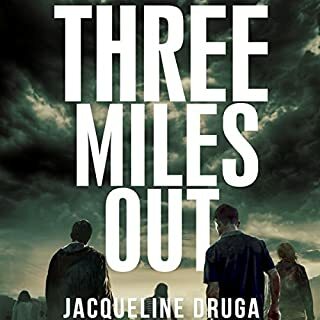 The plot had a steady pace and kept me intrigued till the end. The setting was great as well. You can't go wrong in a small isolated town and it was well developed. I thoroughly enjoyed the uniqueness of this little horror story and am so glad I gave it a go. There are a lot of typical small town characters too but the author writes them so well that you can't help but root for them. Even Ellen! In all, this was a tense and nerve wracking read and I look forward to checking out more from this author. 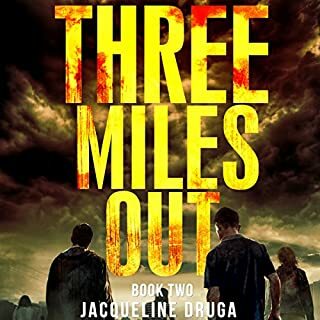 The sink holes, the mysterious beings and the "Fred is Dead" all made this a chilling, and in a way, fun read!!! David A. Wood read this well and was able to capture the tense atmosphere. He also had plenty of tones and voices for the different characters and gave a great performance. 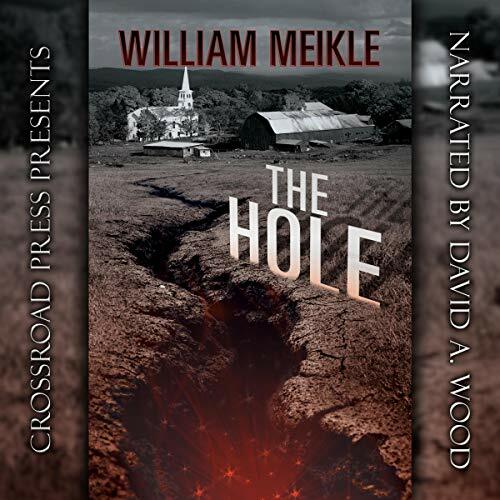 This story begins real-world-scary in that towns folk are besieged by giant holes forming in the ground that are swallowing up houses, cars and people at random. Big Man Sherif teams up with the town doctor to try and keep his townspeople safe. Along with a couple drunks and a rude old lady, these characters fight to the ends of the Earth to stay alive. 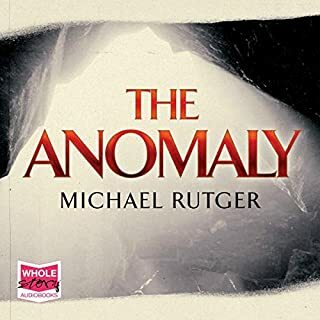 I can't say more for fear of spoilers, but I can say that I recommend this book to anyone who enjoys horror and adventure. David A. 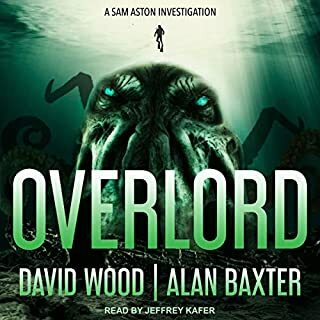 Wood gives an absolutely phenomenal performance in this book. 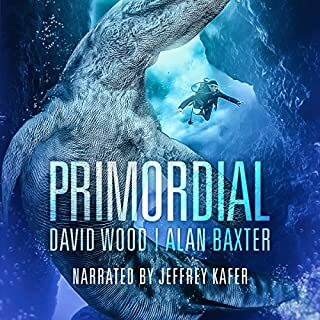 Great story well read with the different voices David Wood narrated beautiful. I’m hoping for a second book on this as I feel like it was left open for a second book. I was sorry the two main characters died in the end but there are 4 left and the military doing their thing. Needs some angels to come aboard and get rid of the devil pods if that is really what they are. 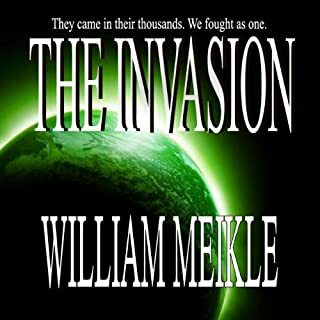 This is the first story I have heard/read from William Meikle, and I enjoyed it. The story is good, though I didn’t love the characters. They are crafted well, they just didn’t resonate with me. The story has something of a “Tremors” vibe, with there being a subterranean mystery. The main characters too remind me of the leads in that movie, as does the setting. There are some other similarities, though for the conflict Meikle turns to the occult rather than graboids. David A. Wood does a good job of narrating. The character voices are distinct enough and his diction is crisp.